Everything Coastal....: Crazy about Octopus! 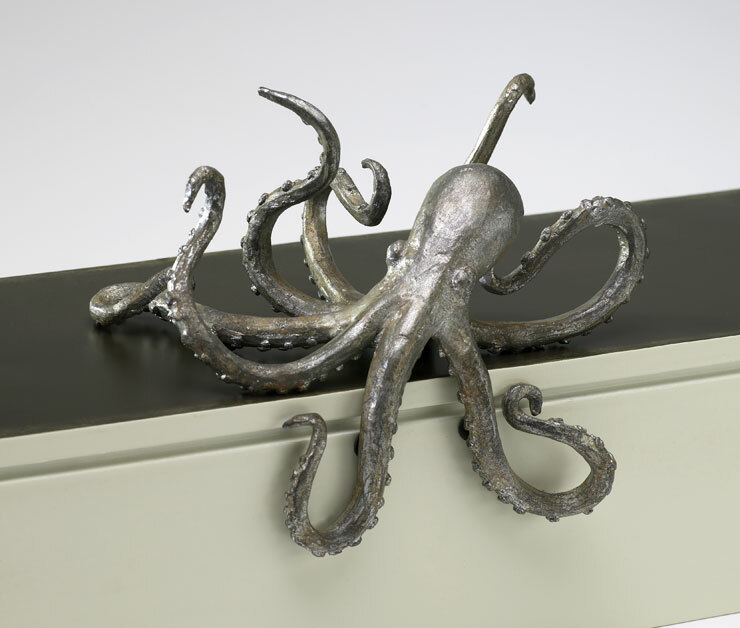 Thomas Paul, a young and upcoming designer has some fabulous octopus beach house decor items with incredible images - natural botanical designs but also very modern. Love these pillows sized overly large, made of natural linen fabrics and luxury down-filled. (yes, I am craving these!) Oh, the best part, the image is reversed on the opposite side - easy to change the look of your room with seasons. Of course, there's always my favorite things from Vietri... How about this pretty hand painted round octopus platter? Hurry though, it looks like it might soon become a collector's item! 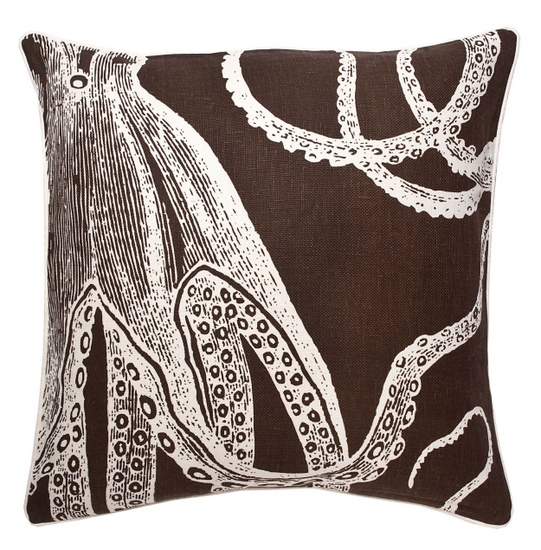 From Caron's - detailed botanical drawings of blue octopus surrounded by other sea creatures on antiqued ginger jars. Kicking myself for not keeping one of these 14" tall beach house decor jars for myself. Found on Amazon - Pretty amber Octopus lamp ! I think I saw a blue glass version too. And then there's these bright fun pillows from our Caron's Beach House store too! Excited as they will be featured in "The Nest" coming out in May for their summer issue. Thanks for stopping by - let me know about your Octopus finds! I LOVE all of these!!! 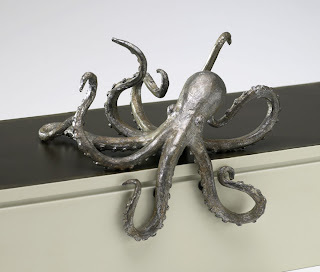 Especially the octopus to go on a bookshelf. LOVE all of this stuff so much! great picks! I want them ALL! :) I've always said if I ever got a tattoo it would be an octopus! Thomas Paul's octopus pillow is beautiful. Thank you very much on your interesting, enlightening, and educational post regarding octopi. In the spirit of sharing, I invite you and your readers to check out a story out of Hawaii regarding a man who hunts octopi. These octopuses (I always thought the plural of Octopus was "octopi" but I was recently corrected (?)) are so cute- especially those colorful pillows. When we have storms, pigmy octopuses get trapped on the beach so it's so much fun to take them back to the gulf to see them swim off into the deep blue sea.